The Los Angeles Times Magazine described the between-inning sound and sights at San Bernardino's Fiscalini Field. The sound involved the song "Wild Thing" by Sam Kinison. The sight involved the home team's mascot, called simply "The Bug," dancing on the third-base dugout. The Bug, the magazine wrote, was "a mascot with a huge baseball for a head, a middle-age paunch and a Spirit jersey with his name and number." 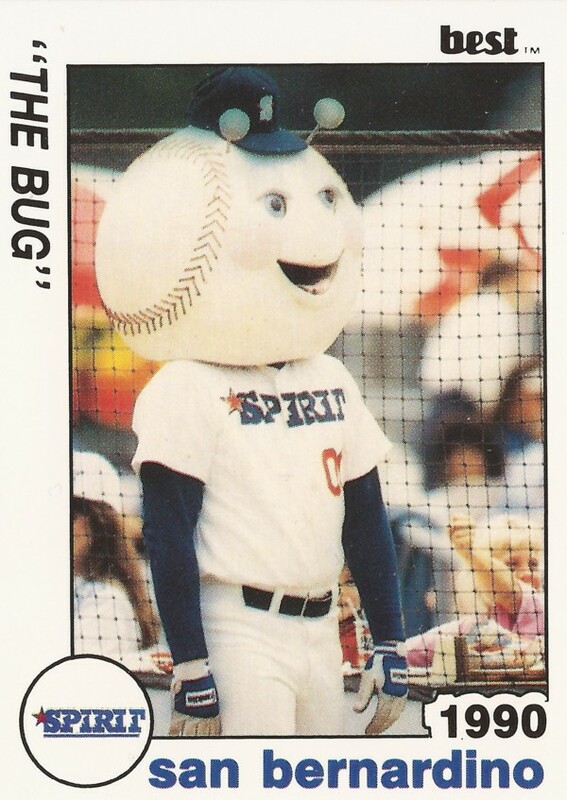 The Bug was the mascot for the San Bernardino Spirit from at least 1989 to 1993, according to a 1993 Times article. That article included an interview with The Bug himself, real name local truck driver Chuck Sanders. The Times wrote that Sanders became The Bug by happenstance. The previous guy with the job called in sick. Sanders, a season ticket holder, volunteered. "Mini-bat night is kind of a frightening experience," Sanders told The Times of the promotions he feared. "The Whiffle ball bat giveaway is another." Sanders' portrayal of The Bug, or just the mascot overall, endured. The successor to the Spirit, the Inland Empire 66ers, posted on Facebook in January 2015 a card from Paul Konerko's time with the team in 1995. One fan turned to The Bug, commenting that it was The Bug that he remembered. The comment garnered four likes.